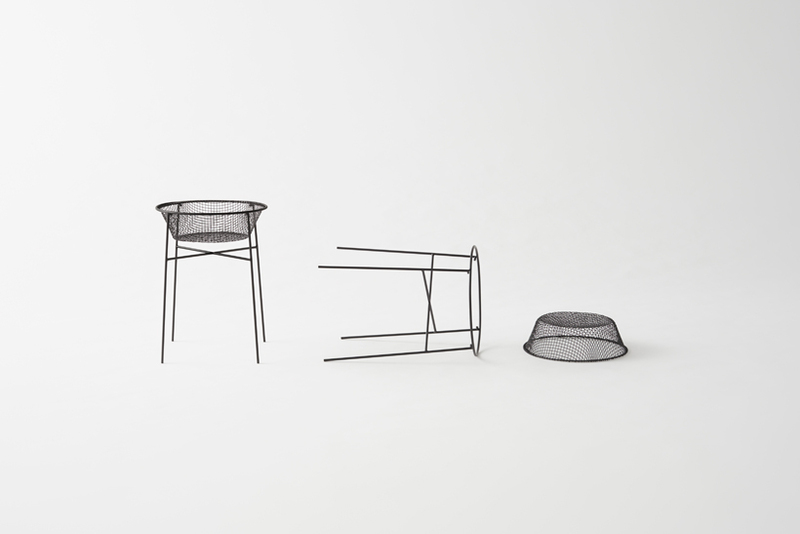 Wire netting (‘kana-ami’) cooking utensils made by Kyoto artisans have been employed to create Kyoto’s delicate, exquisite cuisine for over a thousand years. 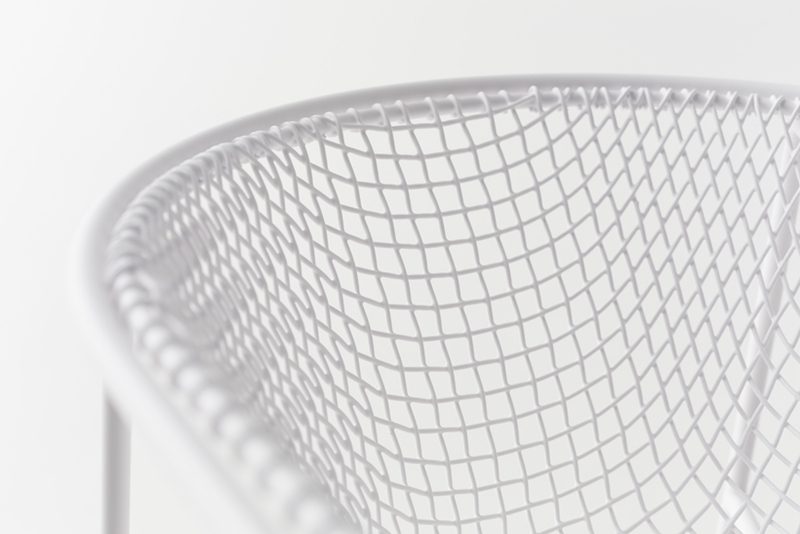 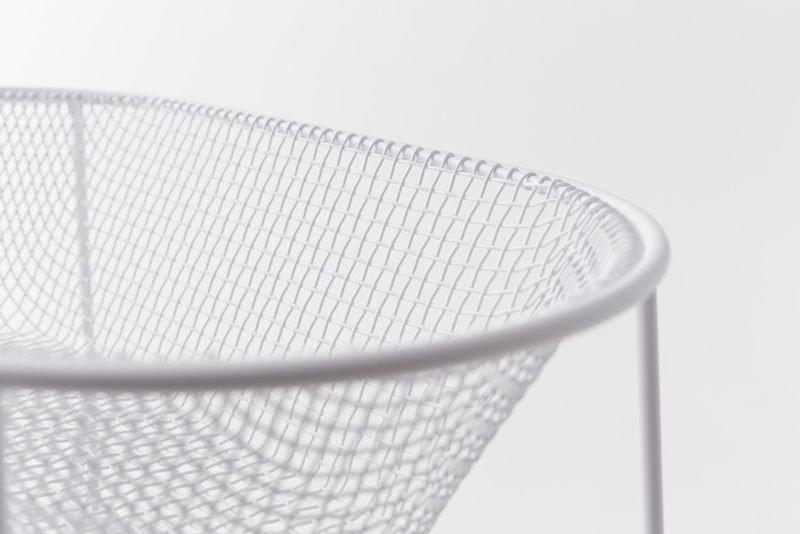 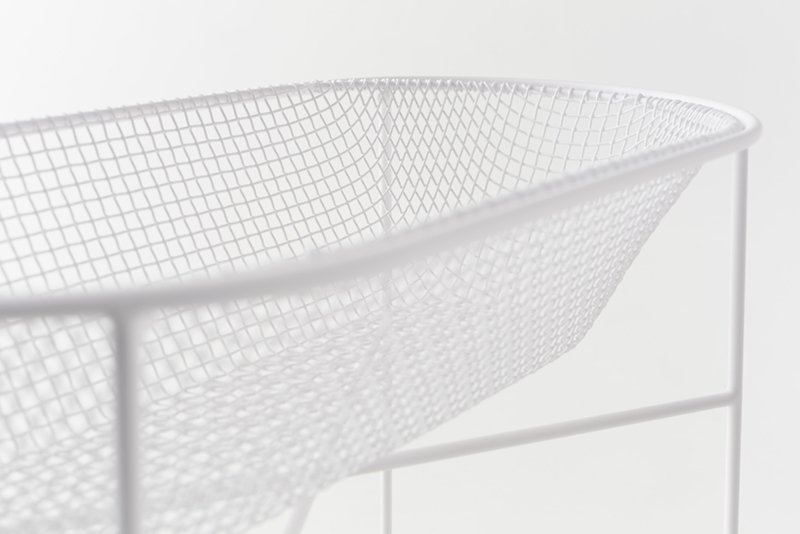 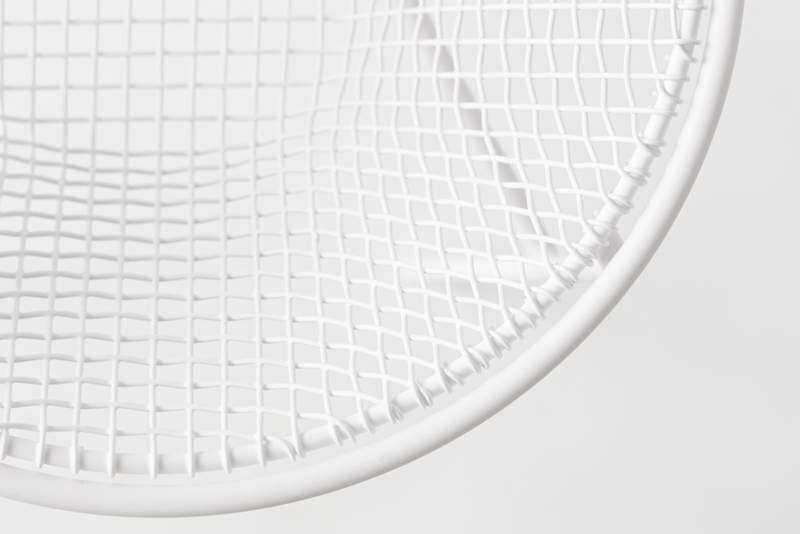 We created this basket in collaboration with Kanaami-Tsuji, a Kyoto-based wire netting firm that preserves the craft’s traditions and develops it for contemporary living and future generations. 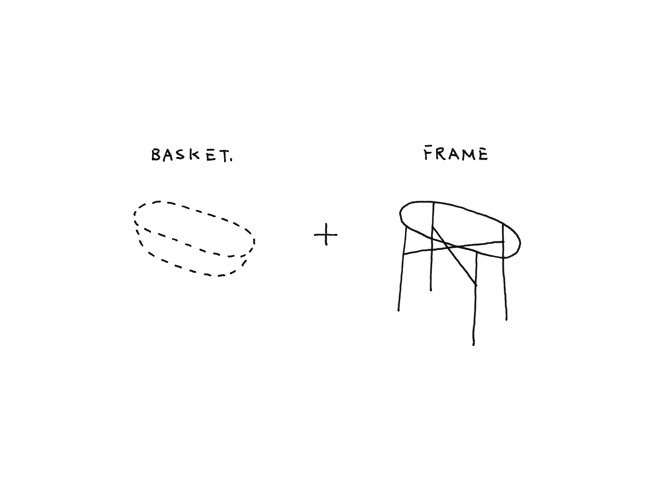 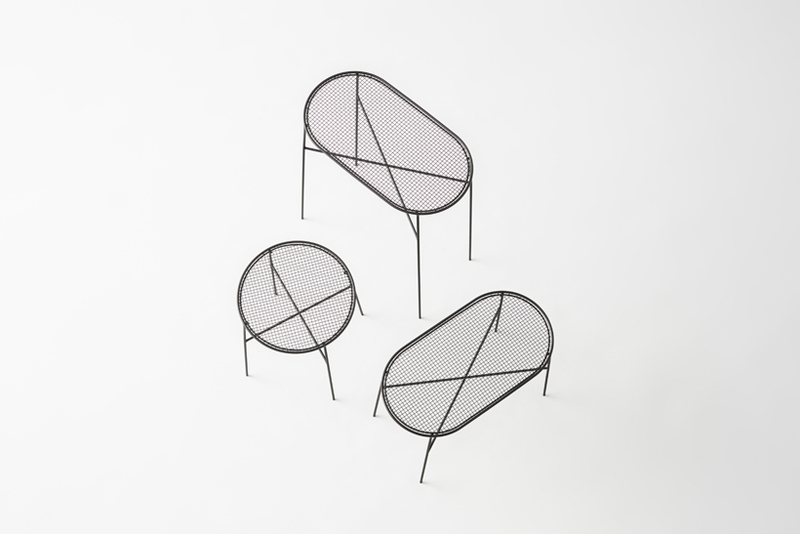 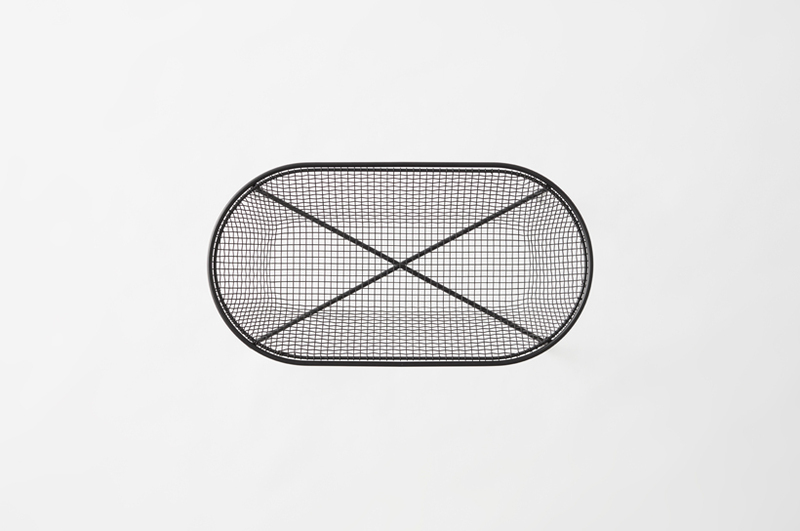 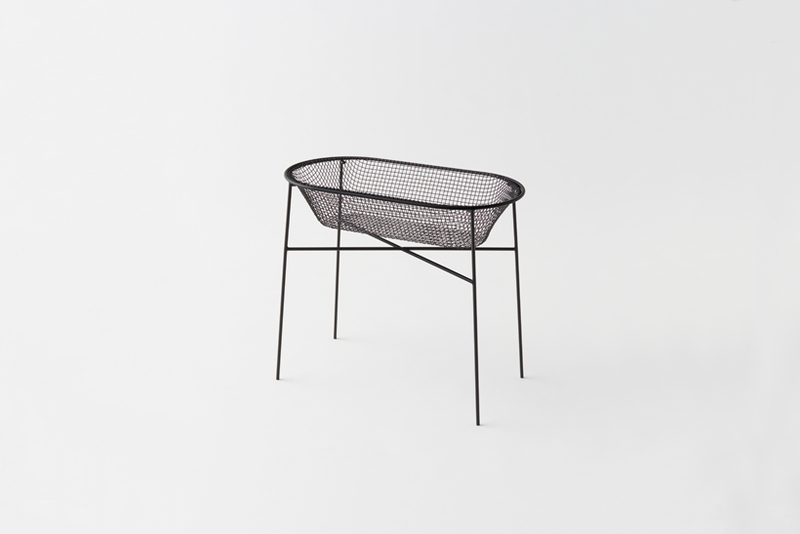 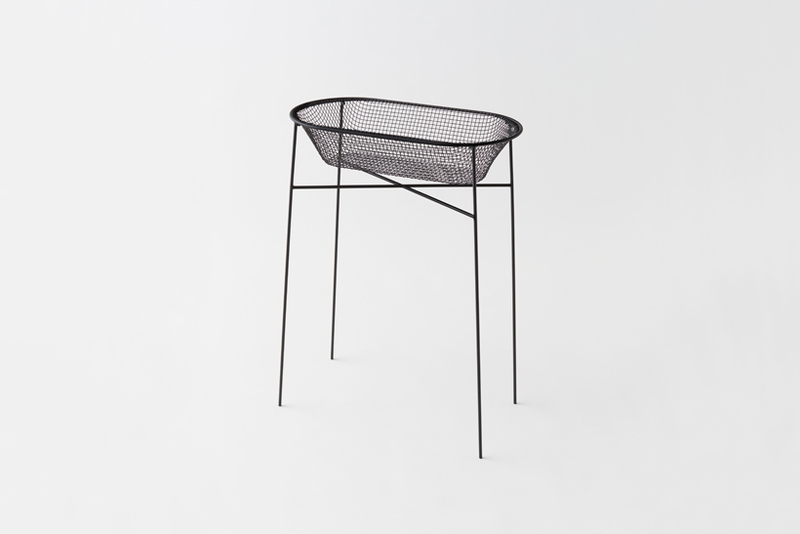 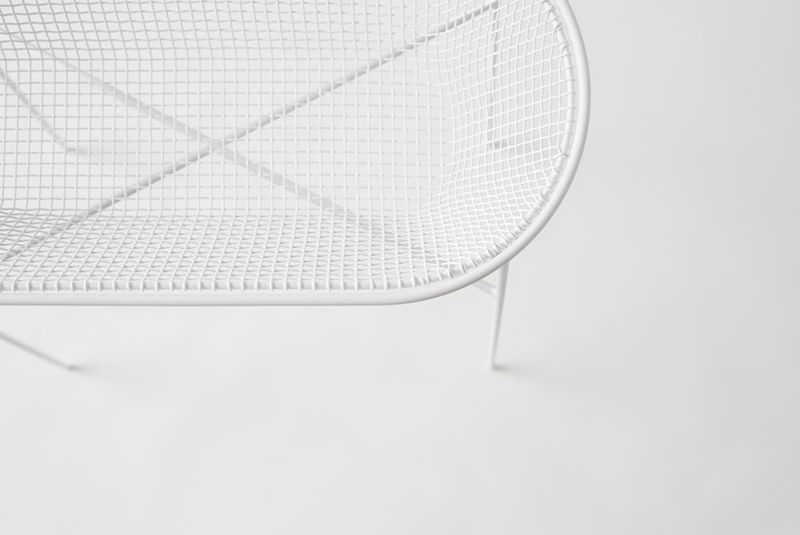 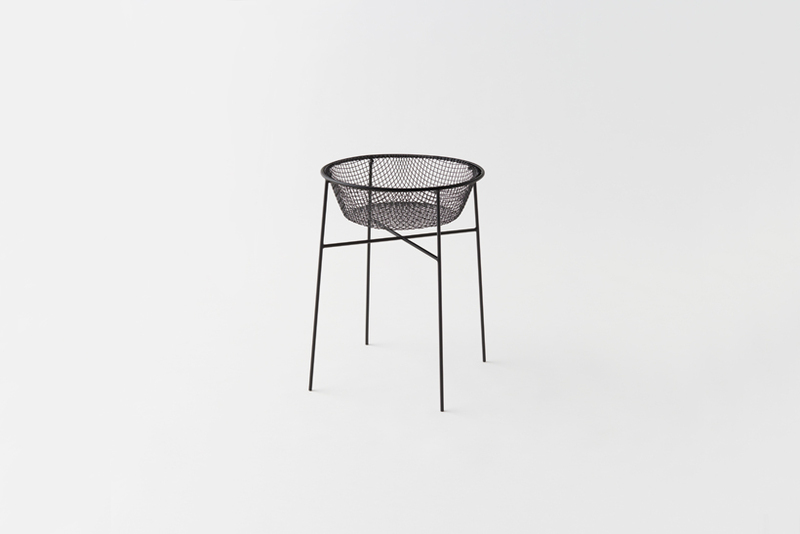 The carefully constructed basket, composed of individually hand-bent wires, is supported by its frame, making a slender table useful for placing small objects, and perfect for a tight space like an entryway, bathroom or space between a sofa and the wall. 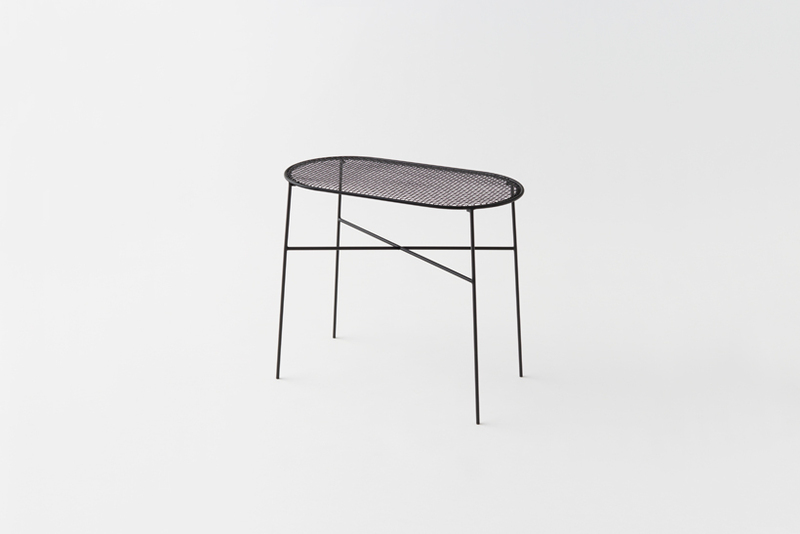 The table comes in three heights and two shapes, rectangular and oval, with the option of either the basket form or a flat shape. 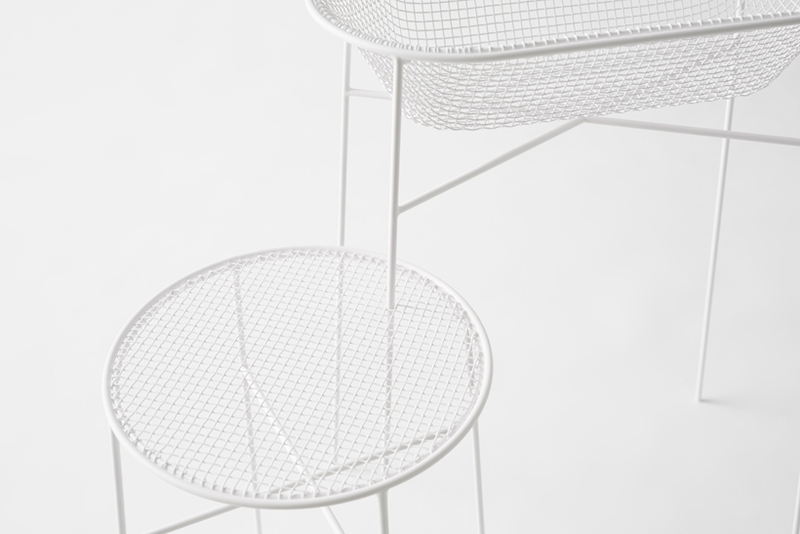 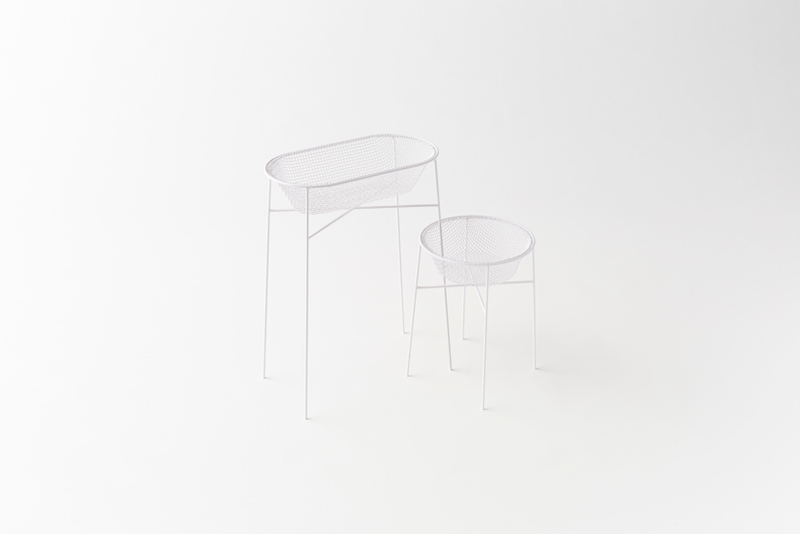 The legs are more slender than the eyes of the netting, allowing the tables to be stacked and combined. 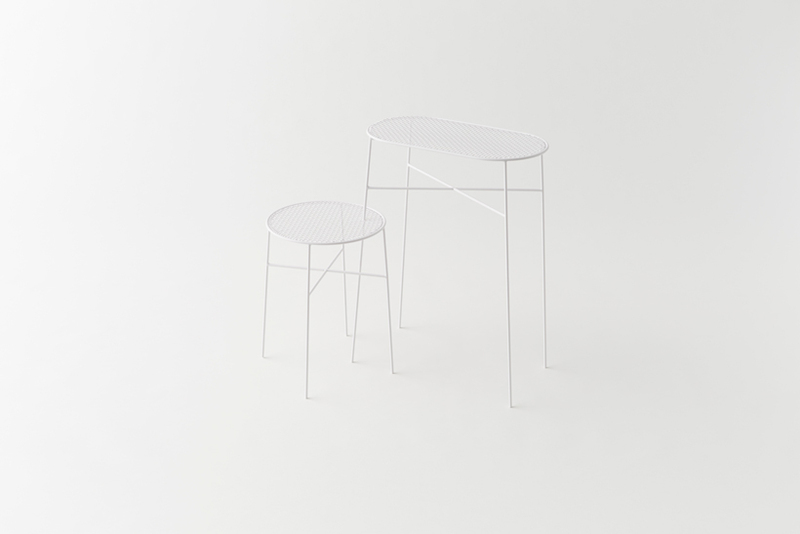 Finishing the surfaces with a matte powder paint brings out the silhouette beautifully while allowing the tables to blend harmoniously with their setting.